In addition to producing sufficient calories, a major, often overlooked challenge in agriculture and food systems is how to provide an adequate diversity of nutrients necessary for a healthy life. We demonstrated how an ecological concept, the functional diversity (FD) metric, has the potential to summarize nutritional diversity of cropping systems and thereby provide new insights on provisioning ecosystem services across farms and villages in sub-Saharan Africa. The nutritional FD metric is based on plant species composition on farm and the nutritional composition of these plants for nutrients that are key in human diets. The strengths and uniqueness of our research lie in the development of a systems approach that considers the variety of species available in the system together with their nutritional composition and in the steps it takes towards integrating agriculture, nutrition, and ecology studies. By applying the FD metric on nutritional diversity, it was possible to identify differences in nutritional diversity as well as to identify specific species that are critical for ensuring the provision of certain nutrients by the system. Results also emphasize that the species nutritional composition and redundancy available in the system determine if introduction or removal of certain species will have critical impacts on the nutritional diversity of the community. 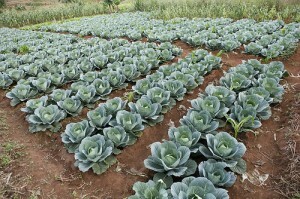 While in the past, food-based interventions in developing countries have focused mostly on a single nutrient, our novel approach can help guide agricultural systems (at different scales: from local farm subsistence communities to global agricultural systems) to provide diversity of nutrients as well as to enhance nutritional resilience of the system. We will integrate nutrition monitoring into Vital Signs Africa. 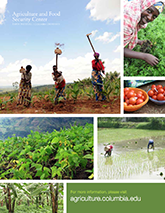 Vital Signs Africa will provide integrated scientific information to help policymakers, organizations, scientists, and farmers to improve their decision making regarding agricultural practices and policies. The system will provide tools to ensure that agricultural development does not degrade natural systems and the services they provide, especially for smallholder farmers.